There are a number of places that I’ve seen lots of amazing pictures from and are on my “to-see and photograph” list. 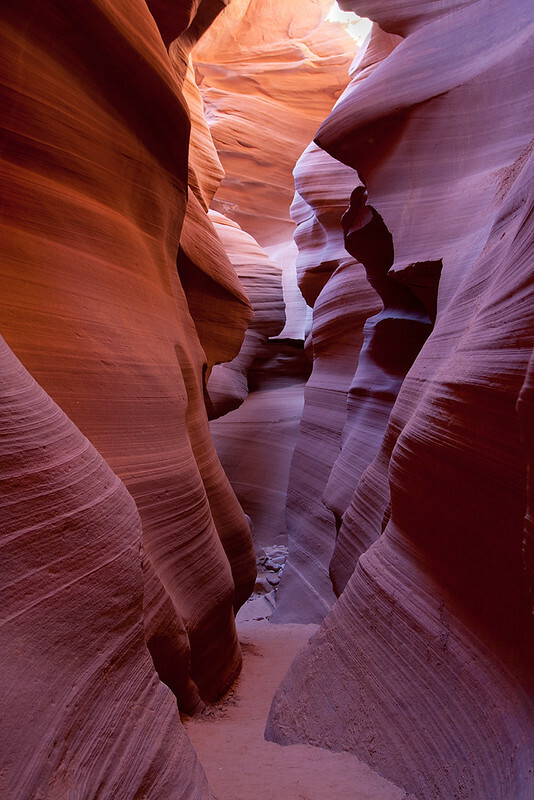 Antelope Canyon was very high on that list. I can gladly say it did not disappoint in the least. The canyons (Upper and Lower Antelope) are amazing from start to finish. Around each turn is another amazing scene with delicate light and forms. If you’re going with photography in mind, you should definitely visit both, but if you can only do one, I suggest Lower Antelope. As long as you have a DSLR and a big enough tripod, you can get a photographer’s pass that gives you two hours on your own. I mention a “big enough” tripod because they almost didn’t let me get the pass with my Sony travel model that stands at 39 inches! I can’t recommend Antelope Canyon enough, it’s out of this world.